Iota Localization Services - Taking your fintech global? 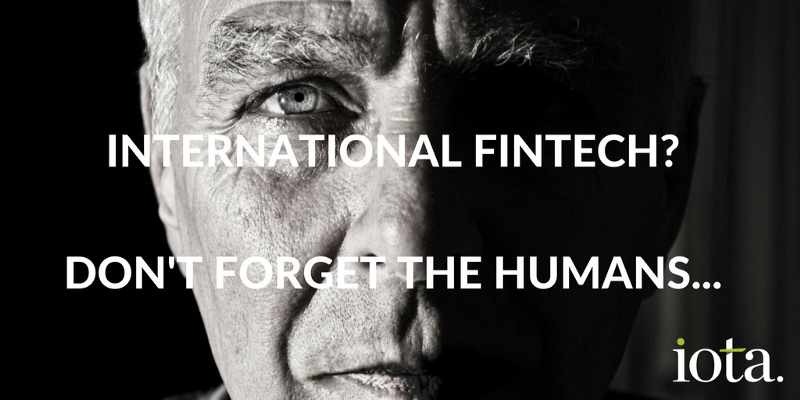 In March last year, Fintech stakeholders from every continent converged on the Guildhall in Central London for the Innovate Finance Global Summit. The mood was upbeat, positive and collaborative. Even when London’s self-proclaimed status as the fintech capital of the world was challenged with the suggestion that New York or Berlin might lay claim the title, diplomacy won the day. That, and valuable insight from Singapore, India, and another 30 countries ensured that the global nature of the event was reflected in the debate. The three the most prevalent themes from the summit were compliance, open APIs, and international expansion. The eagle-eyed amongst you will notice that all three are intrinsically linked. Delivering financial services in global markets requires a keen understanding of local regulations and rigorous governance procedures. Open APIs will help new fintech entrants access the crucial data they need to verify identity and deliver financial services to demographics and markets that currently have limited access to such products. All these things can take place across borders, across continents, and across cultures. The one thing missing is one of the most ancient elements of humanity — language. OK, so a back-office system or blockchain transaction has a universal language all of its own. That’s all very well and needs little consideration beyond compatibility and data exchange (hey, back to APIs! ), but what about the front-end? Whether it’s a consumer using an app, an analyst crunching the numbers, or the IT guy in the office over the weekend trying-to-get-the-damned-API-configured — there’s usually a human in the mix somewhere down the line. And that human relies on language. Their own language. The IT guy needs documentation to understand what he’s configuring, the consumer needs to understand what the AI bot in the app is telling them to do next, and the analyst will rely on online help to generate the report they need for their next client meeting. In an environment where fintech firms are looking to operate in multiple countries, effective communication comes down to local language and culture. With the fintech revolution comes a whole new set of technologies, a raft of new terminology, and an entirely different mindset from young, ambitious financial services providers. It’s not just the traditional financial services industry that needs to adapt to this. Translators and software localization teams need to be able to adapt to this brave new world. They need to learn new technologies and embrace a new flexibility that many won’t have experienced before. And just like legacy banking and insurance platforms that are deemed no longer fit for purpose, monolithic localization companies with their rigid processes and high employee churn will struggle to make the cultural investments necessary to meet the needs of this new reality. Am I translating some text, or am I investing in the future international success of this business? Thankfully, our clients are firmly of the latter view. If you’d like to talk to them about how we help them achieve it, give me a shout and I’ll put you in touch.